VIRUNGA POWER ANNOUNCES THE FIRST CLOSING OF ITS SERIES A CORPORATE FINANCING ROUND WITH A TOTAL OF US$ 5M INVESTED. THE ELECTRIFICATION FINANCING INITIATIVE (“ELECTRIFI”) AND THE RENEWABLE ENERGY PERFORMANCE PLATFORM (“REPP”) HAVE CO-LED THE ROUND WITH COMMITMENTS OF $2.5MN EACH. In addition to their corporate investments, ElectriFI and REPP will pursue aligned investments in project capital expenditure to support the development and construction of Virunga Power’s growing portfolio of run-of-river small hydroelectric and rural community electrification projects in the East and Southern Africa regions. 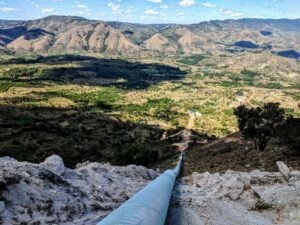 This new financing round will allow Virunga Power to deliver on its project pipeline in Kenya, Tanzania, Burundi, and Zambia. Additionally, the company intends to bring on new senior hires with specialized expertise in building and managing small hydro and rural utility projects.